Coyote Flats offers a unique space for many events. We are happy to provide rental space for meetings, weddings, reunions, parties and more. There is seating in our hall for up to 200 people. Tables and seating are provided. Keys will be issued to the contact person. Keys to be left on meeting room table after the event. All events require a damage deposit on a separate cheque when the rental agreement is signed. A signed waiver is also required. The renter is required to obtain their own liquor license and Party Alcohol Insurance for their event. Proof of such will be required before keys will be issued. If cancellation is made 2 weeks before the event, the damage deposit will be returned. The facilities will be inspected before and after any booking. Facilities must be left in a clean and orderly condition. A charge may be levied if additional cleaning is required. Kleeman Hall may be set up and decorated prior to the event but a set up date must be arranged. There are tables and chairs available to accommodate up to 160 people. A bar is available but the renter must obtain a liquor license. The renter must supply plates, cups and cutlery. No indoor tables and chairs are to be taken outdoors. Renter is only renting Kleeman Hall. Please monitor the activity of your guests. We have a great concern over the safety and damage done to our property. In order to protect our interests you will be required to sign the attached waiver. Pets must be kept on leash at all times and must be cleaned up after. All spills and counter tops cleaned. Floors swept, mud cleaned, grounds outside checked. If a cleanup day after the event is required, an arrangement needs to be made. If these items are not satisfactorily completed there will be an extra cleaning fee levied over and above the $50. 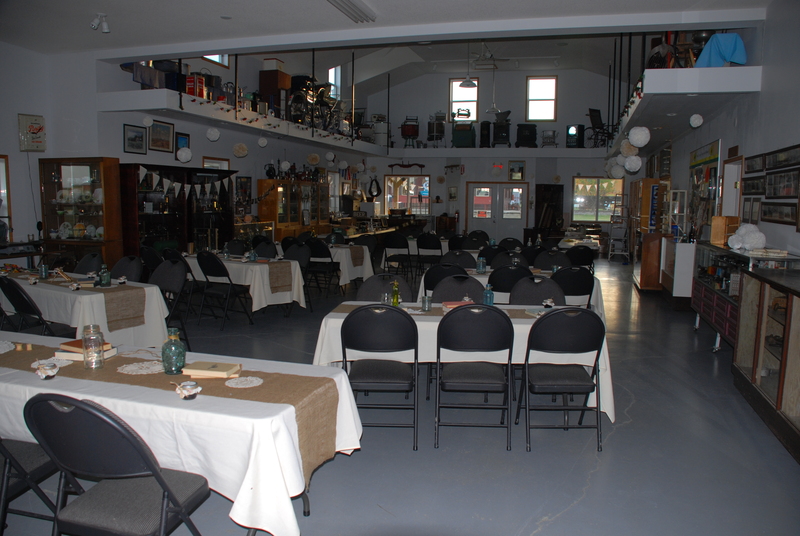 To inquire about facilities available for rent phone 403-732-4374 or the museum at 403-732-5451.